Honda's all-new 2015 VFR800X Crossrunner is currently being put through its paces for the first time in southern Spain by MCN Executive Editor Phil West. These are his first impressions. "Don't be put off by the Crossrunner tag. Although the original 2011 version of Honda's VFR-based 'crossover' machine blew a bit hot and cold, this version's pretty much all-new – and vastly better for it. "In a nutshell, all the mechanicals are based on the new 2014 VFR800F sport-tourer, which means the new Crossrunner gets a smooth-out V4 plus much improved cycle parts. In addition, Honda's sorted its previously confused identity by giving it proper adventure bike styling with a more spacious, upright riding position. 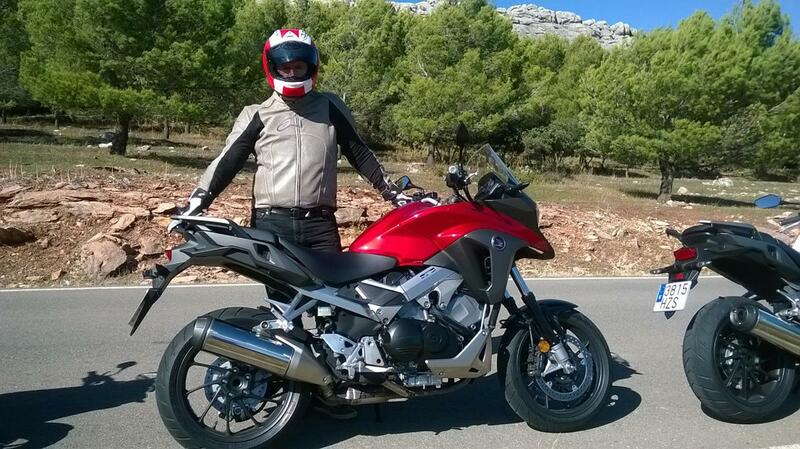 "The result is a junior-ish VFR1200X Crosstourer or, as they'd prefer, an adventure style version of its VFR. It delivers, too, being roomy, classy, sporty enough (that's those VFR genes) and impressively versatile. See my full report in next week's MCN"